For over 30 years, OAR, on behalf of the community, has provided holiday gifts to children of parents who are incarcerated during “Project Christmas Angel.” Holidays are a difficult time for individuals affected by incarceration, including those incarcerated, those recently released, and their families – especially for the children. This year, over 1,200 gifts have been distributed to nearly 400 boys and girls whose parents cannot be with them this holiday season. Each gift has a handwritten gift tag from their incarcerated parent, letting the child know that their parent has not forgotten about them. 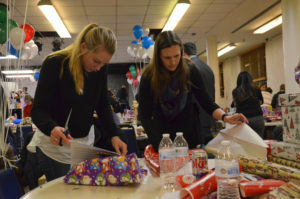 OAR’s Project Christmas Angel provides holiday gifts to children of parents incarcerated in the Arlington County Detention Facility and other Virginia Department of Corrections facilities, as well as those who have been recently released from incarceration, and those active in OAR’s programs. Each boy or girl receives three gifts delivered just in time for the holidays. Local deliveries are completed by OAR volunteers and children who live outside of the local area have their gifts mailed to them. On Wednesday, December 13, 2017, over 200 volunteers gathered at St. Andrew’s Episcopal Church in Arlington to select the gifts for the children, wrap them, and prepare them to be shipped or delivered. “The community comes together each year to ensure that no child is forgotten over the holidays,” said OAR Executive Director, Elizabeth Jones Valderrama. “Family relationships are strained by incarceration, and it can be especially difficult on the children to have their mother or father away during the holidays. This community-wide effort brings families together, even when they cannot be physically present with each other” she said. 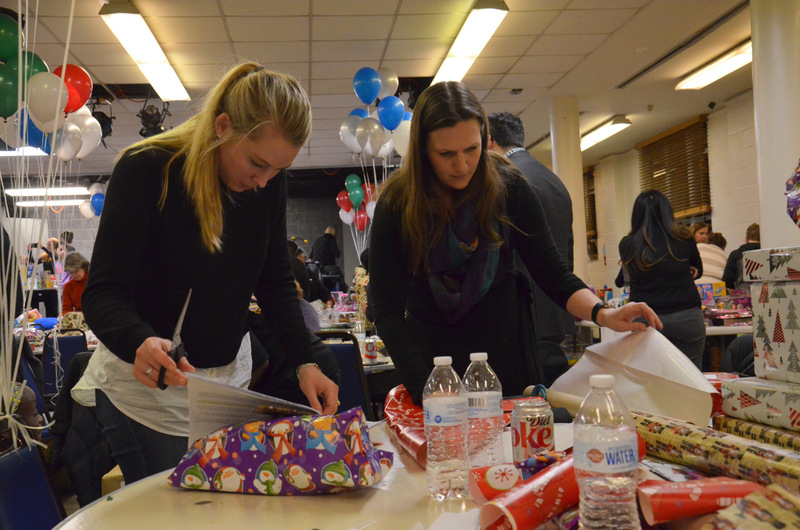 OAR also partnered with businesses and organizations in the community to collect the gifts for Project Christmas Angel. OAR wants to thank the following locations for hosting donation boxes: American Chemical Society, Arlington County Federal Credit Union (all locations), Arlington County Sheriff’s Office, Bethel UCC, ISL, Madison Community Center, Resurrection Lutheran Church, Robcyns, Rock Spring Congregational United Church of Christ, Segue Technologies, Susan B. Anthony List, Thomas Jefferson Fitness and Recreation Center, Wendroff & Associates, and the Woman’s Club of Arlington. In addition, OAR wants to thank all of the members of the community who sent gifts through OAR’s Amazon wish list, the Preston King US Post Office in Arlington, VA for opening two hours earlier so that we could mail hundreds of packages to children who live outside of the local area, and the 200 volunteers who attended the event and helped make it special.